Best episode so far. The boy at the beginning is just amazing. I feel I should explain to the foreign readers that Donbass With Texas is a play on words that comes from an old Texas public service TV commercial. There was this motto dreamed up by some high-paid ad man, "Don't Mess With Texas", aimed at getting people not to throw trash out their car window. They even had little jingles played by various recognizable Texas musical artists. Does RB have a future as a Sports Commentator? Russell "Texac" Bentley Under Fire Again! Looks like RB is seeing more action. Ukies on the offensive. Here's the Ukie-Nazi-NATO spin on this, claiming that it is the Ruskie backed DPR that started it. Now, what would be the purpose in that? They're not trying to expand, they're just trying to break away. However, this is part of the "Blame Putin" narrative. Major fighting around an industrial city in Donetsk has everyone asking if Putin is up to something big, or just testing the resolve of a new Trump administration. Why is the war in Ukraine suddenly going from frozen conflict to scorcher? Is this Vladimir Putin’s way of testing Donald Trump, not two full weeks into his job as U.S. president, or is it just another provocation designed to keep Kiev weak and insecure after three years of invasion, annexation and occupation? True, fighting has continued more or less constantly in east Ukraine, the industrial heartland known as the Donbass, ever since the fighting was meant to have stopped as a result of not one but two cease-fire agreements. But this week it escalated in a dramatic fashion, and with clear signs of Kremlin support. Into the fray on the pro-Russian separatists’ side have come heavy-duty armaments such as Grad rockets and the Buk missile system which shot down MH17. (And there’s only one place where the separatists can get this stuff). Also, Ukrainian soldiers are receiving ominous text messages on their cell phones, redolent of the kind of cyber-ops used against them before in the war, the technology and operators of which have been linked to Russian military intelligence hacking of the DNC and Hillary Clinton’s emails. According to Ukrainian official reports, at least 12 Ukrainian soldiers have been killed and 57 wounded since Sunday, along with civilian killed and five wounded. The Russia-backed separatists in Donetsk report at least nine of their fighters and five civilians dead, though it must always be cautioned that the so-called Donetsk People’s Republic has form for exaggerating or even outright fabricating reports of civilian casualties. Nevertheless the fighting is the worst seen in an urban area in well over a year. Avdiivka is of key economic importance to the Donetsk region, housing the vast Avdiivka coke and Chemical Plant, the biggest coke producer in Ukraine and one of the largest in Europe. The plant forms a key part of the metallurgy industry in the Donbass, the backbone of the region’s economy, providing coke for steel works in Mariupol, another government-held city threatened by Russia-backed forces down on the Azov coast. Since the fall of Donetsk Airport to Russia-backed forces in January, 2015, Avdiivka has borne the brunt of fighting in the Donetsk area, and has been the scene of daily attacks since. Violence has remained at a relatively high level since March last year, when Ukrainian troops established control over the Avdiivka industrial park or promzona, which had formally laid in no-man’s land since the signing of the second Minsk peace agreements in February, 2015, bringing them to within a few hundred meters of Russia-backed forces’ positions on the highway out of Donetsk city. The battle around Avdiivka began in the early hours of Sunday morning and there are two competing narratives of what happened. According to the Ukrainian military, Russia-backed fighters launched a series of assaults on Ukrainian positions both in the promzona, and to the southwest and east of the town. In response, say reports from both front-line fighters and the Ukrainian defense minister, Stepan Poltorak, Ukrainian forces mounted a successful counter-attack and took over some of the Russia-backed fighters’ foremost trenches. Meanwhile, the separatists and their handlers in Moscow claim that the battle was initiated by a Ukrainian offensive. Since then, fighting has intensified across the front line, well beyond Donetsk, with heavy shelling reported every day from Mariupol to the Luhansk region in the northeast. Devastating and highly inaccurate Grad multiple-launch rocket systems are now back in regular use. Video from Donetsk city on Tuesday morning showed repeated volleys of the 122-mm rockets flying out of separatist-held territory towards Ukrainian lines. There are also numerous reports of the use of such rockets both to the south of Donetsk and the east of Mariupol. While the Ukrainian military has reported the sporadic use of Grads on several occasions in the last year, this is the first significant use of the weapons in urban Donetsk since the summer of 2015. With artillery raining down on both sides of the front line, residents of Donetsk and Avdiivka have been comparing recent days to the darkest days of the war at the height of fighting in 2014 and 2015. One particularly disturbing development has been the dissemination of threatening SMS text messages in Avdiivka, addressed to Ukrainian soldiers, warning them that their bodies “will be found when the snow melts,” or that they are nothing but “meat for their commanders.” The appearance of such messages closely resemble those sent out en-masse during the bloody battle for Debaltseve in January and February, 2015, which ended in the fall of the city to the Russian army. These texts appear to have been broadcast by Russian electronic warfare systems, which have been documented in Donetsk within the last year, with the aim of demoralizing Ukrainian troops. Another is the return of the Buk surface-to-air missile system, with which Malaysia Airlines flight MH17 was shot down on July 17, 2014. The separatists published images today showing the wreckage of what they claimed was the wreckage of a Buk missile that had crashed, without detonating, in the Donetsk suburb of Makiivka, allegedly having been fired by Ukrainian forces at a drone operated by the Organization for Security and Cooperation in Europe (OSCE) which is monitoring the conflict with the aim of securing a ceasefire. While the photos do appear to be genuine, the OSCE has explicitly denied that any of their unmanned aerial vehicles came under attack. There are also some reports from locals that the missile was fired from separatist-held territory. The humanitarian situation in Avdiivka is grim. Shelling has knocked out power supplies, and civilians have been left without running water, heat or light as temperatures reach -17 Celsius during the nights. The authorities have established field kitchens and warming centers, but announced that they are prepared to evacuate thousands of residents, though as of Wednesday, only 145, 88 of them children, have chosen to leave. What we have seen this week is a major deterioration. While the level of violence in Ukraine has ebbed and flowed on a relatively cyclical, though still deadly basis over the last year, there have been occasional flare-ups, most notably in December last year, when heavy fighting broke out and lasted for several days near Debaltseve, leaving dozens of fighters on both sides dead. However, this week’s combat differs significantly from December’s. Firstly, the worst fighting is taking place in built-up, urban areas, posing a far greater risk to civilians than the battles in the countryside outside Debaltseve. Secondly, the increase in shelling, including the use of Grads, elsewhere on the front line is far more dramatic and widespread last year. This escalation comes as Ukraine is trying to shore up international support at a time of great uncertainty following the inauguration of President Donald Trump, whose relationship with the Kremlin has Kiev worried. Ukrainian President Poroshenko was in Berlin on Monday for talks with Chancellor Angela Merkel but cut his visit short due to the fighting. Meanwhile, both Danish and French ministers have been visiting Mariupol this week. A video released on Tuesday by the Danish foreign minister, Anders Samuelsen, captures the sound of distant shelling as the minister expressed his concern about the deterioration. Daily DigestStart and finish your day with the top stories from The Daily Beast. Cheat SheetA speedy, smart summary of all the news you need to know (and nothing you don't). Many observers have noted that the explosion of violence came shortly after a phone call between Trump and President Vladimir Putin on Saturday, which, the Kremlin claims led to the two leaders agreeing to “establish partner-like cooperation” on the “crisis” in Ukraine—something the White House did not mention. Could the Russians have launched an assault on Avdiivka having either felt they had received assurances from the White House that the US would not react, or to test the resolve of the new leader? Perhaps, but the relationship is likely more organic. An important factor is that, over the last year, the Ukrainian armed forces have become significantly more assertive and effective in prosecuting counter-attacks, and bolder in establishing control over hirtherto-undefended areas, such as Avdiivka’s promzona or the villages of Novoluhanske  near separatist-held Horlivka, and Vodyanoye, east of Mariupol. While such moves by the Ukrainian military do not constitute violations of the Minsk agreements as the areas involved were already designated as being on the government-controlled side of the demarcation line, and have helped the army secure vulnerable territory and combat issues such as smuggling (which has become a deadly, multi-million-dollar industry), they do provide certain opportunities for Russia and the separatists. Chiefly, the Russia-backed forces, having lost ground to counter-attacks near both Debaltseve and Avdiivka, can claim that Ukrainian forces are on the offensive, and justify their own attacks as retaliatory - a claim put forth this week by the Kremlin. Dmitry Peskov, Putin’s press secretary, told reporters on Tuesday that Ukraine’s actions in Avdiivka were “nothing other than a provocation,” claiming that “Donbass militiamen” had “been forced to respond” to a Ukrainian assault. But it is the actions of Russia-backed forces themselves that appear to be provocations, as their fighters conduct assaults without the necessary force to actually break through Ukrainian lines and Russian-supplied rockets and shells rain down to little apparent military effect bar the infliction of casualties. This is because the Kremlin has little to gain right now from an all-out assault as the sea change in Western politics, with the election of Trump and the strong possibility of a friendly government in France after the presidential elections later this year, means that the relief of sanctions is a growing possibility. Instead, sensing that the U.S. and European Union are unlikely to impose additional sanctions this year, the Kremlin can pursue the path most likely to undermine the fragile stability of the Ukrainian government by increasing the rate of attrition in the Donbass and creating the impression of an impending offensive. To boot, Ukrainian forces could be goaded into overreacting, allowing Moscow to claim that Kiev is abandoning the Minsk peace plan or even raising the possibility of an open intervention by Russian armed forces under the guise of peacekeeping. Indicative of this is the emphasis given by Russian media to alleged attacks by Ukrainian forces on Russian journalists in Donetsk. On Sunday a crew from NTV filmed what they described as a shelling attack, marked by a chorus of shrieking babushki and the curious absence of any visual evidence of an attack. Then, on Tuesday, two groups of Russian journalists reportedly came under fire. A cameraman from LifeNews, a channel suspected of having close ties to Russia’s security services, was, the network said, injured after a Ukrainian shell exploded nearby. Russia is playing a long game in Ukraine and the deadly violence around Avdiivka is just part of what looks likely to be a significant increase in pressure over the coming months as the Kremlin tries to do as much damage as possible while there is little probability of any real response from the West. I seriously doubt that, somehow. Nothing like starting a new shooting war to keep peoples minds off the fact that they live in a failed state, run by a bunch of thugs who have run through all their CIA bucks and now need more tribute. Kissinger and Brzynski, not so pleased. Bring your own Google Translate. Donetsk girls continue to conquer foreigners who come to Donbass. I can see RB going out in a Blaze of Glory firing an AK-47 to defend his young Ruskie wife and new baby as they make their Getaway from the Ukie Nazi Storm Troopers. He's living Hemingway's For Whom the Bell Tolls. LETTER TO AMERICA – AN OPPORTUNITY AND A WARNING. THE CHOICE IS YOURS. After V. V. Putin’s historic speech on March 1st, 2018, and the revelations of Russia’s formidable new weapons, I wrote a letter to my friends and family, and all the good people in the USA. I wanted them to know that Russia isn’t threatening them, or anyone, that there is an opportunity as well as a warning for them, and that they are the only ones who can stop the 3rd World War before it starts. I explained the responsibility they have, as well as the benefits if they rise to the occasion, and the price they will pay if they do not. Please read and share. It is important people in the USA get this message and understand it.—R.B. 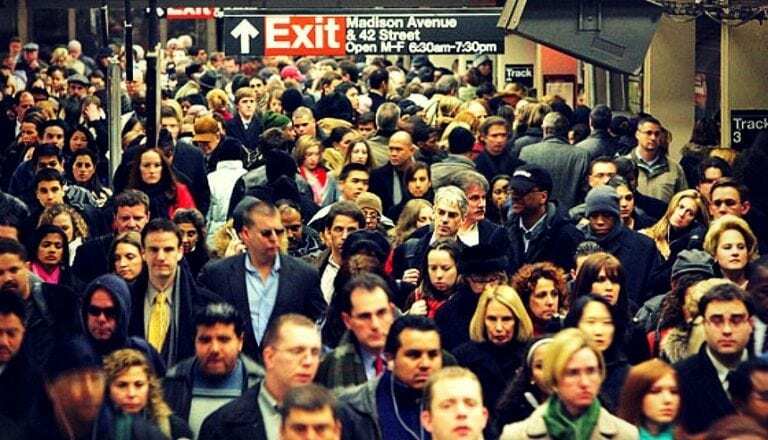 New Yorkers going about their business in a crowded subway platform. Most people in the US are completely unaware of what their ruling cliques have done, recklessly imperiling their very lives along with the rest of the planet. You may not know it yet, but the world changed on March 1st, 2018, an old era was ended, and a new era begun. In very great part, the meaning of this new era is up to you. On that historic day, Vladimir Putin revealed to the world that the US military is now obsolete, and no longer capable of “projecting power”, committing war crimes, or intimidating and destroying smaller nations around the world. That day has ended forever, one way or another. The US military is still completely capable of the mission it needs and deserves to do, which is to defend the territory and people of the United States of America. You are safe. There is no threat. But the days of your government threatening and destroying other countries is over. I hope you understand this. Putin’s revelation of Russia’s game-changing weapons, against which the US military is literally defenseless, is not a threat or a bluff. Only liars and fools speak of “Russian aggression”, and the stupidity of anyone who says or believes “Putin is bluffing” is beyond measure. Russia’s weapons are real, and the US military industrial complex (that Dwight Eisenhower warned about 57 years ago) has absolutely no defense against them. In spite of plundering and squandering literally trillions of dollars from the US treasury and the American People in the name of “defense”, they are defenseless. Russia’s new weapons present no threat to the American People, unless you allow the people who own and control your government to force the Russians to use them. But if you do allow that to happen, the American people will get exactly what the “good Germans” got in 1945. And you will deserve it, just as much as they did. For the exact same reasons. Russia is not your enemy. We seek only cooperation for the mutual benefit of all Mankind. But since the fall of the Soviet Union in 1990, 38 years ago, the USA, NATO and the EU have sought to plunder and rule the world. They have been the enemies, the enslavers, the destroyers of the world. No reality based person can dispute that fact. There is no place that the US or NATO has gone into in the last 4 decades that is better off. Not one. In fact, there is no place that NATO or the US have intervened, (usually against international law) that hasn’t become a failed state, hell on Earth for the citizens, and a genuine danger to the surrounding regions and the world. It is the US government and NATO, and the people who own and control them, who are the threats and the enemies to the future of Humanity. But their days of disregarding international law and destroying weaker nations with impunity are now over, as of March 1st, 2018. The good people of America now have a huge opportunity, and a huge challenge. Russia spends less than one tenth what the USA spends on military and defense, but their military and weapons are superior in every measurable way. The waste, corruption and abject venality of the US military industrial complex has wasted trillions on weapon systems that are now literally useless, and which have left the US military (and by extension the American people) defenseless before the power of Russia’s weapons, which are designed and produced to be effective rather than profitable. The opportunity is this – the USA can now reduce its military spending (the highest in the world) by 90% and still be as safe as you are right now, spending almost a trillion dollars a year on useless weapons and a defenseless military. This gives the USA, starting as soon as you want, an extra $800 billion, per year, to spend on things that have actual worth, things you really need. Health care, free college education, fixing the rotting economy and infrastructure that are daily becoming more of a threat to the American people than Russia has ever been. Your challenge is that you must root out an entrenched and ruthless kleptocracy, built on deceit and oppression, and which is bent on war, and will stop at nothing to cling to its power. It is a huge task, an historic task, but in it lies your only hope. These parasites must be stopped, and if the American People are not up to the challenge, if they fail in their historic mission, they will leave it to the armies of the world, led by Russia, who will no longer tolerate those who want to rule the world. Your rulers are leading you to a war you cannot win, a war from which you, your families and your nation, and perhaps the world, will never recover. If the American People do not prevent their rulers from starting World War Three, there will be war. Peace and prosperity or death and desolation. These are your only choices, and now is the time to make your choice and act accordingly. An annual windfall of $800 billion is yours for the taking, if you have the wisdom, courage and determination to take it back from the charlatans and scammers who have been robbing and wasting your trillions for years. Already these vermin claim the only possible solution is to give them even more money, as if those who fail when they out-spend their competitors ten to one might succeed by spending twenty to one. At some point, the host must rid itself of its parasites, or risk being bled dry. When the American People stand up to their oppressors, rid themselves of their parasites, the people of Russia and of the world will stand with you, will applaud and support you. All good people in the world are on the same side. Those who oppress and exploit you do the same to us. Your enemies are our enemies, and ours are yours. Stand up, as we have, throw off your chains and illusions, see for yourself who your real enemies are, and together let’s defeat them, before they destroy the world and all that is good in it. Only you can stop them without a global war. If you don’t, there will be war, and we will stop them. But those who live in the USA will suffer the fate of those who start and lose a world war. It is not a fate to be desired. America, that time has now come for you. The choice is stark and clear, and you must make it soon. Either bring your rulers to heel, stop the war they are bent on starting, and reap the benefits of stopping the most egregious and wasteful scam in history, or do nothing, allow your parasites to consume you, and let them lead you and your children and your nation to Armageddon and a fiery death in a war that you now know you can never win. The choice is yours. And so is the responsibility. Texac (front, on the ground) with his comrades in Donetsk. Russell Bonner Bentley, aka “Texac”, is an American-born writer and volunteer soldier currently serving with the Novorossiyan Armed Forces (NAF), as the young republics in Eastern Ukraine confront the assault of the US-created and nazi-dominated Kiev regime. Russell incarnates the spirit of the Lincoln Brigades, and Jack Reed. Besides his duties as a frontline fighter, Russell also works as a war correspondent. His chronicles about the situation in that strategically critical region, featured as “War Diaries” on The Greanville Post, are also distributed to other leading left publications, reaching a global audience. From January to June 2015, he was a soldier in the Essence of Time combat unit of the Novorussian Armed Forces (NAF). He served at the Donetsk airport and Spartak as a rifleman and RPG gunner. Texac is now doing Information Warfare for the Donetsk People’s Republic. His team is supported ONLY by contributions from friends around the world. They operate on a shoestring budget with few resources. They need cameras, computers, microphones, a smart phone, a guitar, bulletproof vests and helmets, as well as daily operating expenses for things like taxi fare and food. You can donate to them via Paypal, contact him at russellbbentley@gmail.com, or visit the donation page. A repository of Texac articles can be found here. 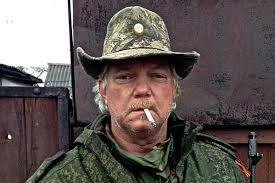 If you never listened, here is the Diner Interview with Russell Bentley, "Hemingway of the Donbass". Production by Surly, Interview by RE. Russell “Texas” Bentley arrived in Donetsk in December 2014. It would seem strange to some that an American would leave their homeland to fight for a cause on another continent. But the reasons become clear when examining the true story of the 2014 coup in Ukraine. Starting in late 2013, The Euromaiden protests at Kiev City Hall and Independence Square were depicted by the media as a “democratic populist uprising” against government corruption. In the background were organized ultra-nationalist and Neo-Nazi militant groups, brandishing weapons to enforce their agenda. It wasn’t long before these groups emerged to the forefront of a takeover that ousted President Viktor Yanukovych and installed a regime embedded with butchers of the Far-Right. Numerous attacks on civilians by the new government and Neo-Nazi streets gangs ensued. Among the tragedies was the mass murder of anti-Nazi protesters at the Odessa House of Trade Unions, where hundreds of civilians were burned alive on May 2, 2014. The perpetrators of this terrorist act have never been brought to justice. The US Government did not merely cheer on the coup from the sidelines, but provided support via NGOs (Non-Government Organizations) and planning from the CIA. Since then, the US has been providing financial and military aid to the current regime. Risking his life, Bentley left Dallas and travelled to Donbass to defend the Donetsk People’s Republic (DPR) and join those fighting against the terror being unleashed by the US-backed Kiev regime. Soon after he arrived, he came in contact with international volunteers who joined the fight. Such efforts beckon to the time of the Spanish Civil War when volunteers from around the world came to the aid of the Spanish Republic against Francisco Franco’s fascist foot-soldiers. This anti-fascist coalition included Americans who fought in the Abraham Lincoln Brigade (1936-39). Using some of his past training in the US Army, Bentley made his mark as a soldier and as an Information Warrior in what he calls “Fascism’s first major setback since the withdrawal from Vietnam or its stagnation in Afghanistan,” and now invites readers to discover his story. The Donbass Cowboy is, in Bentley’s words, a “view from the trenches” as well as a “labor of love, and a point of honor.” Based on Bentley’s journal chronicling his experiences on the frontlines, the author describes in vivid detail his first year of fighting for the DPR. From the time his plane landed, he knew his life would never be the same. These “memoirs of an un-civil war” is reminiscent of Ernesto “Che” Guevara’s The Bolivian Dairy and follows the journalistic footsteps of John Reed’s Ten Days That Shook the World and Anna Louise Strong’s I Change Worlds. Written in a clear prose style with a poet’s touch, Bentley presents readers with a history that is still in progress. Despite the calm manner in which his narrative is presented, it remains an urgent call to action. 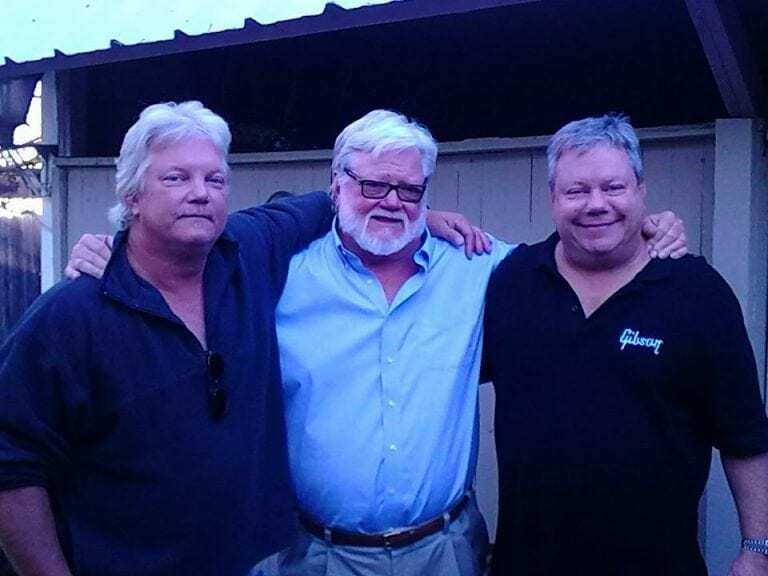 Russell (left) with kin, during a visit back home. In the book’s introduction, editor Pete Nash describes his astonishment toward the lack of balance in reporting from the western media establishment on the civil war raging in southern Ukraine. Nash rightly praises Bentley’s book for providing “valuable insight into the Donbass resistance,” for it is among the only accessible English-language offerings dispelling the lies directed against resistance efforts. As US leaders in Washington D.C. decry so-called “Russian Interference in the 2016 election,” they revel in their own hypocrisy for meddling in the affairs of numerous countries with Ukraine being a recent “prize” collected for their bloody mantle. The Donbass Cowboy, like most reports countering propaganda oiling the gears of the war machine, has been ignored by the American press. As Nazis and variant nationalist groups terrorize Ukraine, the DPR and the Lugansk People’s Republic fight for the lives of their people.